Every time an app becomes popular in iOS, I badly wait for its arrival in Android. Now it’s time for another such interesting app. 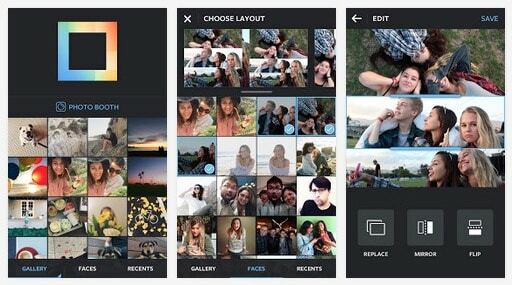 Instagram‘s very own Layout app is finally available for Android users. You can download and install them via Google Play now. Earlier it was exclusively available only for iOS users, and it is extremely popular for making funny layouts with your pictures. Instead of sharing your lazy dull camera images, you can get creative and use Layout to touch them further. You can replace, mirror and flip the images. Test your creativity and make awesome layouts. Just like Instagram, this app is also a pretty simple app to use. You can re-mix up to 9 of your photos at a time to create fun and personalized layouts. It has a simple and smooth interface, it gives you full control over it. You can save the photos and you can also share them with your Instagram followers after customising. If you loved Instagram app then you’ll also probably love their interesting image editing app. I installed “Layout from Instagram” on my Android phone and I’ll share my views here asap I start to use it tonight. “Layout from Instagram” is available for download on Google Play.